The iPhone X features Apple’s biggest design change yet. After a decade of sticking with the same design, Apple finally made its way to change the way its smartphone operated and looked. Featuring an all-screen design with minimal bezels, the device is part of the company’s attempts to offer novelty. The notch, on the other hand, can be put up for a debate. While some people have no issues with it, others might see it as a distraction. 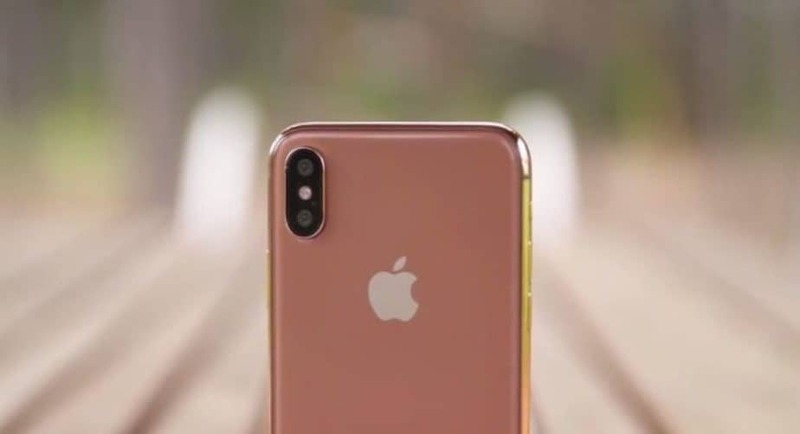 The smartphone was available in two colour options at the time of launch and it seems there will be an extension to it of rumours are to be considered seriously. iPhone sales have been enormous for its latest notch-y variant. However, the numbers are not that impressive as they were previously speculated on paper by major analysts. The company is aware of it and it is working on improving them. This is where the latest rumour originates from. Apple’s iPhone X sales have reached its maturity stage and are not seeing any major growth. Apple is familiar with it and is working on further strategies to raise the bar. In an attempt to regain the momentum of the iPhone X sales, Apple is planning to launch a new colour variant of the smartphone. The report originates from Mac Otakara but it does not detail any further elaborations regarding what the colour will be. In the past few weeks and months, we have got our hands on several leaks regarding the subject. However, it cannot be said with immense accuracy that the colour previously detailed will be the end product. A previous leak states that the Cupertino giant is working on a Rose Gold colour variant for the iPhone X. The Brush Gold colour leak can be checked out here. Last year in the same time frame Apple released the Product (RED) iPhone 7 Pluss colour. While the colour was the company’s attempts to work on its initiative, it did manage to lure users into buying the handset. Similarly, other leaks have also stated that Apple might be working on a Product (RED) iPhone X. If Apple is planning to launch a new colour, there will definitely be a jump in sales and overall numbers will be increased. Apple is holding an education event tomorrow in which it is expected to upgrade the iPad or launch a new model. There will be other releases as well so be sure to stick around. View your thoughts in the comments.